New website. Same great service. We can help you with your next home loan, commercial loan, asset finance plus much more! Get in touch today to discover why we're one of Australia's best brokerages. 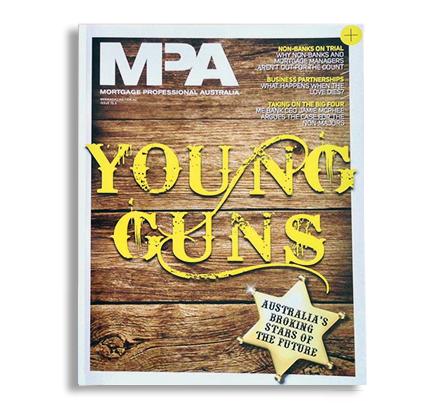 A select group of up and coming brokers from around Australia were selected to be featured in the March edition of the Mortgage Professional Australia (MPA) magazine in their “Young Guns” report. I am very proud to have featured as a new young gun & business owner. With a passion for customer service and delivering positive outcomes, I like to think I typify the PPF WA value proposition - ensuring that my service is of the highest quality at all times. Get in touch with me today. If you already know your question, please complete the form on the right and I will get back to you as soon as possible. Alternatively call us on 0404 000 212 during normal office hours.